On February 24, 2011, the Inter-American Court of Human Rights (IACHR) made a historic ruling in the Gelman v. Uruguay case by holding Uruguay responsible for forced disappearances committed during the nation’s dictatorship which lasted from 1973-1985. 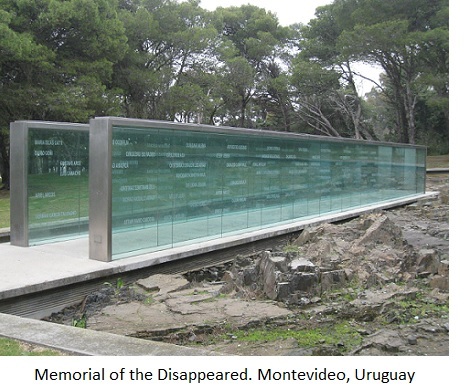 On February 24, 2011, the Inter-American Court of Human Rights (IACHR) made a historic ruling in the Gelman v. Uruguay case by holding Uruguay responsible for forced disappearances committed during the nation’s dictatorship which lasted from 1973-1985. 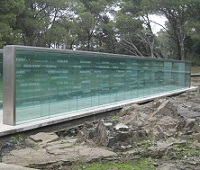 Although it is over twenty-five years after the transition back to democratic rule, the decision reflected the international shift towards justice over impunity. What remains to be seen is how Uruguay will comply with the Court’s ruling as the fight over historical accountability continues in the small Southern Cone nation. Events over the past few months in the country indicate that the struggle over the darkest period in Uruguay’s past is far from over as civil society launches innovative advocacy campaigns and continues to fight to overcome the long-standing silence about Uruguay’s past. The Gelman case serves as a critical juncture point in the nation’s battle against impunity and mirrors the challenge of human rights implementation facing international justice more broadly in the region. This specific ruling stems from a case filed by Argentinian poet Juan Gelman whose son, Marcelo, and pregnant daughter-in-law, María Claudia, were abducted in 1976 in Buenos Aires. They were part of the 30,000 desaparecidos who were killed as part of Argentina’s dirty war against perceived communist subversion. While Marcelo’s body was eventually recovered in 1990, María Claudia has never been found. Part of the reason her remains are untraceable can be attributed to the details that have emerged about her time in custody where she was sent from Argentina to Uruguay as a part of Operation Condor, a cooperative military arrangement between Southern Cone dictatorships to eliminate dissidents through repressive activities. After María Claudia was kidnapped in Buenos Aires, the military transferred her to a prison in Montevideo where her daughter, Macarena was born and eventually given to a pro-military Uruguayan family. Maria Claudia was never heard from again. Macarena grew up unaware of her own history, and her experience was not an isolated incident. In a March 2012 article in the New Yorker, Francisco Goldman wrote about the cases of the many stolen children, and reported that as many as five hundred children in Argentina and Uruguay were taken from their imprisoned parents and given to childless military or police couples who the military regimes favored. Only a fraction of kidnapped children have been reunited with their biological families, despite the ongoing efforts of groups like Las Abuelas de Plaza de Mayo in Argentina. After years of searching for his missing granddaughter, Juan Gelman became one of the few lucky ones and finally found Macarena in 1999. He subsequently brought the case of the disappearance and illegal adoption before the Inter-American Court of Human Rights. Litigated by the Center for Justice and International Law (CEJIL), the Gelman decision was handed down in 2011, and proved truly groundbreaking. It ruled to hold Uruguay responsible for crimes against humanity committed during the dictatorship and required a series of measures for the state to take as a result of their culpability. The main challenge then shifted to implementation of the ruling and civil society groups have been working to find cutting-edge methods to push the nation towards compliance. Part of the difficulty regarding over Uruguay’s observance of the IACHR’s ruling is based on the ad hoc relationship between member states and the Inter-American Court. While the IACHR has a generally high rate of compliance, the Court has no enforcement authority for its decisions. Nations therefore have the discretion to determine the extent to which they will comply with these recommendations. While Uruguay signed and ratified the American Convention on Human Rights in 1985, the Gelman case was the first from Uruguay to reach the Court to date. Therefore, there is not much jurisprudential precedent as to how closely the nation will follow the Court’s recommendations. Activists both in Uruguay and outside the nation knew that state compliance would be difficult, at least in part because the crimes had occurred so long ago, but also because Uruguay possesses a unique relationship with impunity that dates back to 1986 when the Uruguayan legislature passed the Ley de Caducidad de la Pretensión Punitiva del Estado, an amnesty law which granted immunity to military and police officers accused of grave human rights violations. This law became what some scholars consider “the cornerstone of state-sanctioned impunity in Uruguay” which the nation failed to overturn in spite of two major civil society campaigns in 1989 and 2009. Instead, a silence came to envelope Uruguayan society regarding the crimes committed during the dictatorship. Recent developments in the nation seemed to indicate that the political climate might be beginning to shift towards accountability. First, in 2010, Uruguayans voted José Mujica into the presidency. Not only is Mujica a member of the Frente Amplio, the left wing coalition of government, but he appeared to have a unique stake in pursuing accountability as a former member of the guerrilla group which the military dictatorship targeted. Mujica spent thirteen years in prison during the nation’s military rule, and therefore knew firsthand the effects of the nation’s silence about the period. Second, the Gelman case directed Uruguay to begin instituting accountability efforts in three key areas. The Court ordered Uruguay to guarantee that the amnesty law did not present further obstacles to the identification and, if applicable, punishment of responsible parties for crimes against humanity. In addition, it directed Uruguay to institute reparations for violations suffered. Lastly, the ruling stated that the small Southern Cone nation needed to make an official apology. Uruguay has taken important steps to partially comply with these duties in the past two years. The nation instituted an economic reparations program and in March of 2012 President Mujica made a dramatic public acknowledgement of state responsibility for crimes committed during the dictatorship. However, there is still a lot of work to be done to reopen the many cases of dictatorship crimes that have never before been heard, and to re-ignite a national dialogue on accountability. The New Media Advocacy Project (N-Map), partnering with CEJIL, launched a campaign with Uruguayan groups to catalyze these efforts through a unique advocacy method which utilized a combination of video and communications tools, legal expertise, and grassroots organizing which spotlighted the voices of victims who still hold the burden of investigation into their nation’s own history, often with little recourse through official state avenues. After spending a few weeks in Montevideo in March 2012 to film Mujica’s momentous acknowledgment of state complicity in the crimes perpetrated during Uruguay’s dictatorship, the organizations produced two videos. The first video, Romper el Muro de la Impunidad, includes interviews with victims, experts, academics, and leading politicians making the case to Uruguayan Judges to open cases of past crimes to promote a future of democracy and human rights. It is important to note that since the IACHR ruling, Uruguayan Judges have discretion about whether or not to open cases from the dictatorship period under the new, international jurisprudence, or whether to ignore the international decision and continue to adhere to the national Amnesty law. The second and shorter piece, Nunca Más Qué, seeks to engage Uruguayan civil society in recognizing the importance of justice in their nation today, and provide a tool around which Uruguayans can build support for judges to open new cases, and ultimately, for the national government to overturn the Amnesty law. Together, the videos spotlight the voices of Uruguayan citizens whose lives are affected daily by the official silence surrounding this dark period in the nation’s history with the goal of spurring the implementation of human rights guarantees for all Uruguayan citizens. For example, both videos feature Sandra Pelúa, an Uruguayan woman who has been involved in the organization, HIJOS, for many years. Sandra was in grade school before she first found out her biological father had been disappeared by the Uruguayan military during the dictatorship. Unaware that her mother’s husband was not her father, it was not until she first entered grade school that she recognized her surname was different from her siblings’, while all her friends with brothers and sisters had the same name. That was when Sandra first learned who her real father was. Sandra never knew this man though. Her family, constrained by the silence enveloping Uruguayan society following the dictatorship, never spoke openly about him or his disappearance. Instead, the trauma of the past remained an unspoken reality and haunted her family’s interactions as they struggled to create a new life. Recent events leading up to the launch of Nunca Más Qué this spring reveal the entrenched impunity in Uruguayan culture and challenges the country still faces. Judge Mariana Mota, who had long fought for holding military leaders accountable for crimes committed by the military dictatorship, was transferred this February from her criminal post to a civilian jurisdiction without any explanation, just as trials were slated to begin. Days later, the Uruguayan Supreme Court ruled that the dictatorship crimes could not be considered crimes against humanity and that the statute of limitations had expired. The ruling effectively means that most gross human rights violations committed under the dictatorship will go unpunished. These setbacks made N-Map and CEJIL’s work all the more important. While hundreds of Uruguayans took to the streets immediately following Mota’s transfer and the Supreme Court’s ruling, N-Map and CEJIL also premiered their videos online via social media in the weeks following the Supreme Court decision where thousands of Uruguayans viewed the videos online and joined the Facebook campaign. Uruguayan radio also featured CEJIL’s Liliana Tojo’s work on the case, while Uruguay’s National Television station interviewed HIJOS representative, Valentin Enseñat about the videos and his work to fight against impunity. The videos were also screened in Montevideo in April 2013 where dozens of participants talked about strategies for the future implementation of the Gelman ruling, particularly in light of the recent steps backwards in the fight for accountability. The excitement surrounding the launch of the Nunca Más Qué campaign speaks to the resiliency and continued support in the nation for accountability. While implementation of the Gelman’s case decision remains an obstacle in Uruguay, Uruguayans are continuing to seek ways to utilize new and exciting advocacy campaigns to close the gap between the ruling of regional courts and the realization of human rights in the lives of average citizens. Judge Beatriz Larrieu, who took over Mota’s tribunal, reflects the work of these activists as she rejected the petition to entirely close down two key investigations for crimes committed during the dictatorship, arguing that crimes against humanity were not subject to statute of limitations. While it remains to be determined whether Larrieu will be able to proceed with her own investigations, both her work and the power of the Nunca Más Qué campaign indicate that the historic fight against silence in the nation is far from over. Debbie Sharnak is a PhD Candidate at the University of Wisconsin-Madison and Project Manager at the New Media Advocacy Project. Abby Goldberg is Deputy Director of the New Media Advocacy Project and a graduate of American University’s School of International Service.